3⃣ Take a synthetic brush and spray a little bit of Mac fix + and grab some pigment , I used Mac Copper Sparkle. But like with everything else you can play with your favorite colours. For todays look, day 5 of 100 days of Makeup I decided to do a ”Pop of Colour” makeup. Mac Prolongwear Concealer or your own eyeshadow base/concealer. 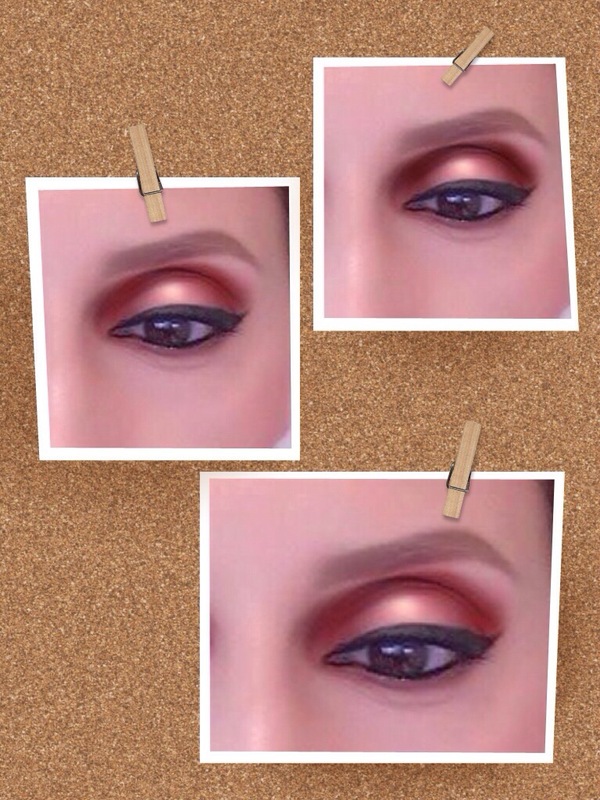 I used MAC 217 brush to blend Cork eyeshadow by Mac in the crease. With a flat brush then i applied Mac Blank Type on the lid. 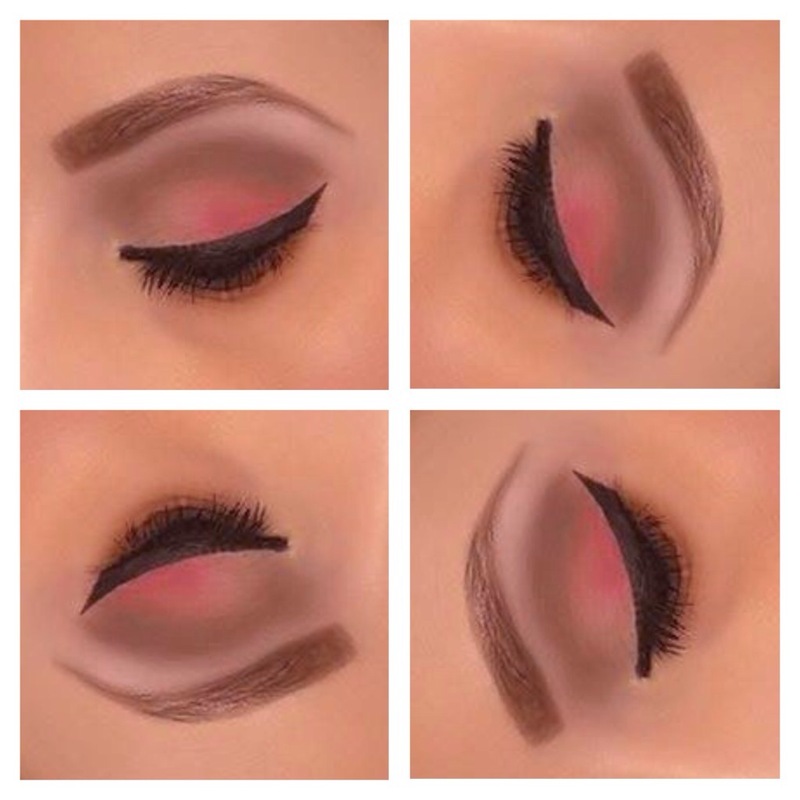 Turn your flat brush and apply pink eyeshadow on the outter lid only. 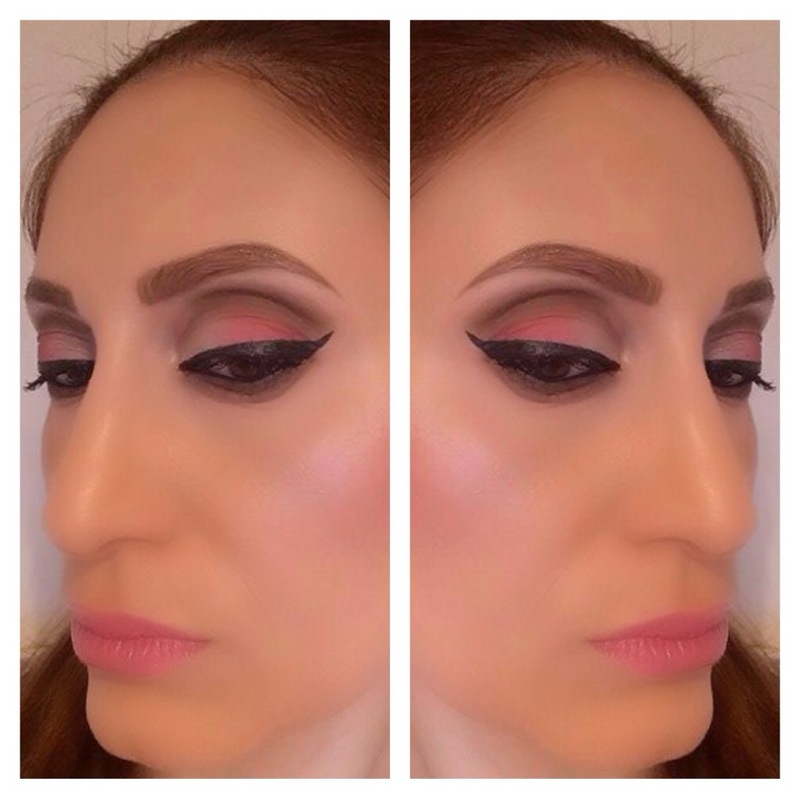 I used Inglot 362 which is a matte bright pink. 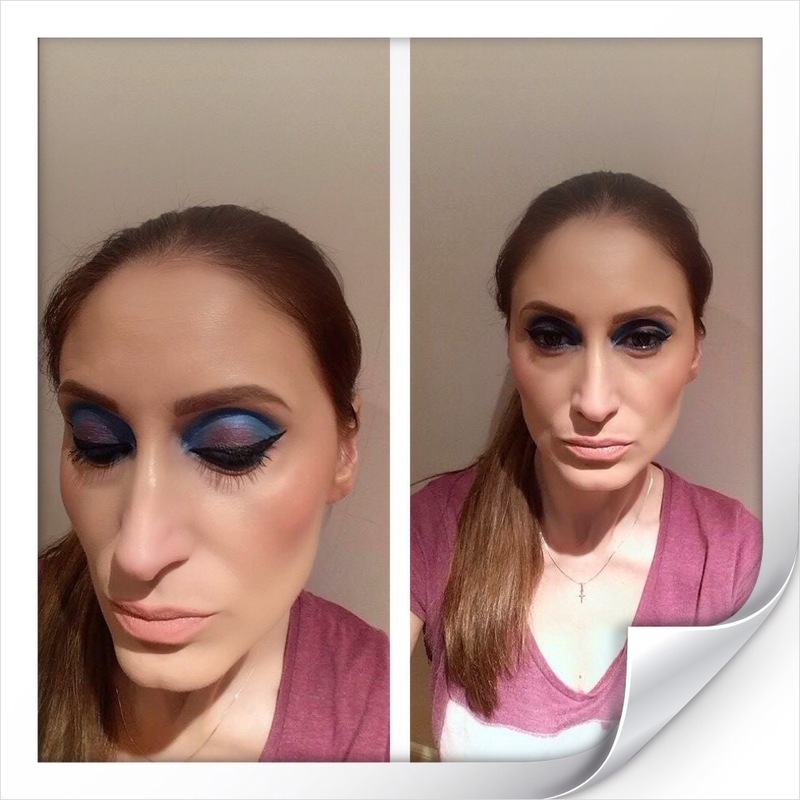 You have probably noticed by now that i use a combination between Mac & Inglot eyeshadows. 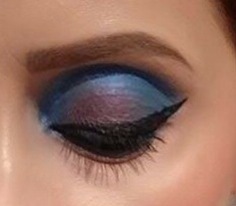 I think they are both very pigmented and easy to blend. 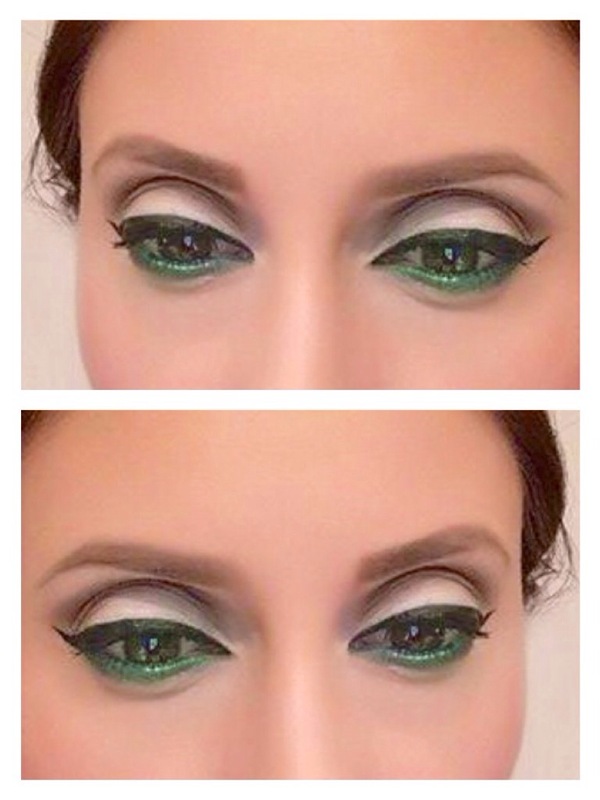 Next apply Mac Smolder pencil on your waterline top & bottom. Collection 2000 Extreme black eyeliner to create the line & flick. For the eyebrows i used my lately routine: Clinique Superfine Eyebrow pencil in 03 Deep Brown & to set them in place Mac eyebrow gel in clear. Clunique Beyond Perfecting in 06 Ivory with a drop of Mac Strobe Cream to give it a bit of glow. Estee Lauder lasting Shimmer in Electric Pink. 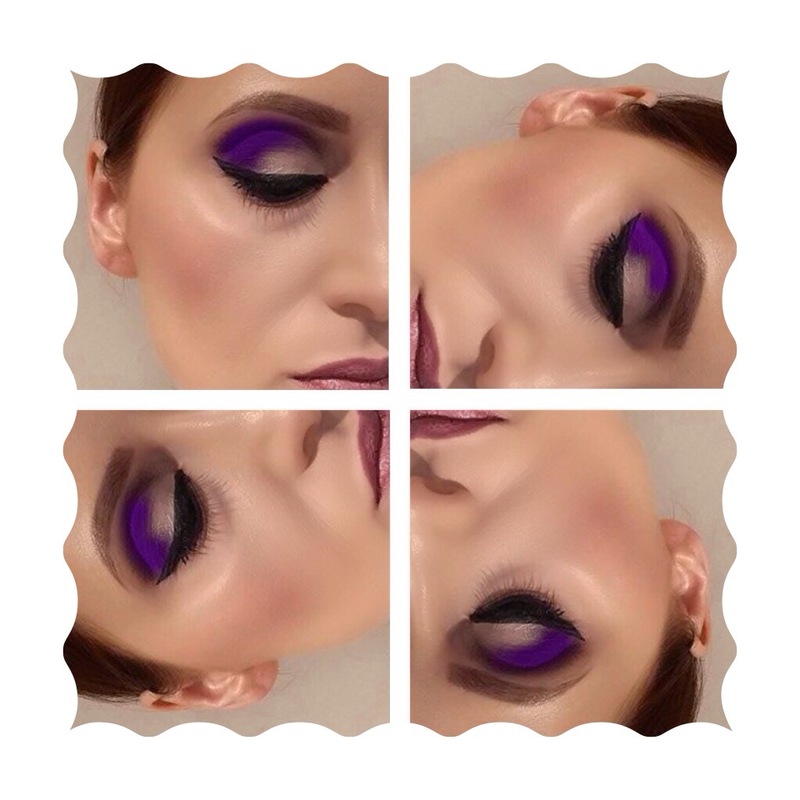 Make Up For Ever no.92 bright Purple eyeshadow, this colour was a must have it when I spotted it on one of the amazing Pixiwoo sisters youtube videos. Clinique superfine eyebrow pencil in Deep Brown 03 topped with Mac Clear Eyebrow gel to set them. Something for Valentine’s Day ❤️?